Prepare for the battle. At the end of my prayer time in late 1985, I asked as I always did, “Do you have anything to say to me?” Sometime a name came to mind and I’d call or send that person a card. Often a melody or lyric brushed my day. Once, a butterfly landed on my knee as a reminder that God was with me. But Prepare for the battle? I’m pretty suggestible (we writers have active imaginations) so I don’t even read about new diseases for fear I’ll develop the symptoms. I asked my prayer question several times in the weeks ahead and the phrase remained: Prepare for the battle. My husband and I had just left our jobs (he a builder, me a mental health director) and moved to a remote piece of 160 acres of rattlesnake and rocks in Oregon along a wild and scenic river. We’d stepped out on a cloud of faith, believing we wouldn’t fall through. But it hadn’t been easy homesteading: acquiring electricity, harnessing a spring, building a house, even digging a phone line seven miles, twice because it didn’t work the first time. We lived seven miles from our mailbox and eleven miles from a paved road. I hadn’t seen those challenges as battles. How does one prepare for a battle of uncertainty? Put on the “full armor of God” (Ephesians 6:10-20). I reviewed my prayer journal noting all the times I’d been worried or made requests and how God had provided. I spent more time in scripture. Psalms 66:12 says “…you brought us to a place of abundance.” That felt reassuring. I read biographies of people of great faith and spent time in Hebrews 11 with the stories of Noah, Abraham, Sara and beyond. They didn’t all receive the promise in this lifetime the scripture says but God is faithful and they were blessed. Life went on over the next months. We had a flood that messed up fences we’d just put in. Equipment broke down. A favorite dog died. I commuted to a job that took me away three days a week. Still no battle. Then on a brisk day in March of 1986 my husband and I flew our small plane with an instructor for required biannual reviews. Our friends who had helped put in the phone line flew with us. Nancy was seven and a half months pregnant. All went well until we began our descent close to home to an uphill airstrip over a cluster of trees and a town. I said to Nancy, “We could lose an engine here and be fine because we’re so close to the end of the runway.” In that instant, the wind sounds changed. We began to float toward fir trees. “Jerry, the trees?” I said. Then I heard the sound of locust branches scraping the bottom of the plane. I still thought we’d make it -- I could hear the engine humming -- when the wing clipped a spruce tree and we pitched forward. We were going down into power lines and houses. I saw a white light and thought, “So this is how it ends.” I felt calm; worried only over my husband and friends. I didn’t even pray. We crashed in the street. I felt a thousand beestings all at once over my foot and the shattering of bones in my arm that had plunged into the instrument panel. Nancy’s husband shouted her name. She gagged a response. I looked at the bloody face of my husband and knew this was the battle. But God had prepared us. We had surgeries, months of recovery with Jerry’s broken ankles, hips, sprained wrists, facial cuts; my shattered foot and arm. But God brought abundance. My parents came to take care of us. Nancy delivered a full term baby girl. Ken wasn’t hurt at all. I could pray for others during this time, but not for myself. I think I was angry that if God could prepare me for a battle, why didn’t God stop the fight? Then one day I read in 2 Chronicles 20:15: "Do not be afraid or discouraged… For the battle is not yours, but God's." Ah, sweet peace. When I sometimes begin to feel separated from God, fatigued by life’s battles, worried over what is or what might be, I remember that time. Theologian Paul Tillich reminds us that in life we must come to terms with three things: that we are mortal, that we control nothing, and that life is uncertain. I still ask my question; but I rest knowing that God goes before, during and after the battle and gives me peace. Jane has won the following awards: Carol Award, USA Best Books Award, WILLA Literary Award and the Wrangler Award. She is a two-time finalist for The Christy Awards and the Oregon Book Award for fiction. Portions of this “Prepare for the Battle” story were published in her memoir Homestead (Whitaker). Jane lives with her husband of 40 years and two dogs in Central Oregon. My mother has always seen the world through eyes of hope and gratitude. When I was young, she was a hands-on type of mother who played and worked alongside her family. 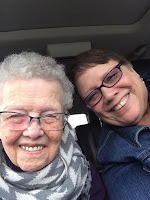 I have precious memories of her rounding the bases during one of our family baseball games, picking huckleberries with us in the High Cascades, and swing dancing at her eightieth birthday party. Mom is ninety-one now. She no longer plays ball or picks berries or dances. She spends most of her time indoors at an assisted living center. Four years ago Mom’s life took an unexpected turn. As a child she survived rheumatic fever, but was left with a damaged heart valve. Somehow or other, that valve held up through the years, until at age eighty-seven, she was told it needed to be replaced or she would die. Mom was pragmatic about the diagnosis and decided to do all she could to live. She’d get the valve replaced, and either she would die or be returned to good health. What she hadn’t counted on was the in-between place. The surgery was a success, but shortly afterward she contracted a staph infection in the incision. It nearly killed her. For more than five months she lived in a nursing home, on IV antibiotics and a wound vac. She became a shadow of the woman who had gone into surgery months before. But finally, she fought off the infection. Things were looking up. Tragically, the day before she was to be released, her husband died. In the middle of the night, my husband and I raced up the freeway. Mom needed us. We found her in the hallway, hunched over in a wheelchair, a frail vapid remnant of the woman I’d known. The days to follow were not typical for our family. We were familiar with death and funerals, but we didn’t know what to do with Mom. Her four children lived far from her home and she needed help. In the end, it was decided that the best place for her was here in Oregon, close to me. So we sold many of her things, packed up the rest, and moved Mom an assisted living center in Roseburg, Oregon. It was a painful transition, but Mom rallied and was her old self—hopeful and full of thankfulness. My life changed. I oversaw Mom’s finances, housing, medical care, and many of her emotional needs. I’d become the mother. Though the circumstances were difficult, life shared with Mom was also full of blessings. I became acquainted with my mother in ways I never had before. Each day, my admiration for her grew. She was and is a woman of grace and gratitude. Every time I saw her she made sure to tell me how much she loved me. She’d take my face in her hands, smile up at me, tell me how much she loves me and thank me for taking such good care of her. It’s an amazing gift to be deeply loved. Four years have passed and Mom’s health is failing. She’s extremely frail, can’t walk, and has dementia, which makes it difficult for her to hang onto who she is, who her family is. I’m waiting for the day when I walk in and she doesn’t recognize me. It will happen, just not yet. Sometimes Mom asks me why I think she’s still living. She can’t see any good reason to be hanging around. She’s lost sight of her own value. She doesn’t realize that the love she extends to those around her is priceless. Even in her present condition she is always kind. She lives with a good deal of pain and is completely dependent on others, but is still grateful for her life and appreciates the smallest pleasures. And still, on most visits, she gives me a bright smile and tells me how much she loves me. Mom’s life is still precious and is as valuable as it ever was. Until the Lord takes her home she will serve Him simply by the way she lives. Getting old is really hard, but it doesn’t devalue who we are. We shall remain treasures even to the end. May we never forget that about ourselves and those who watch over us. 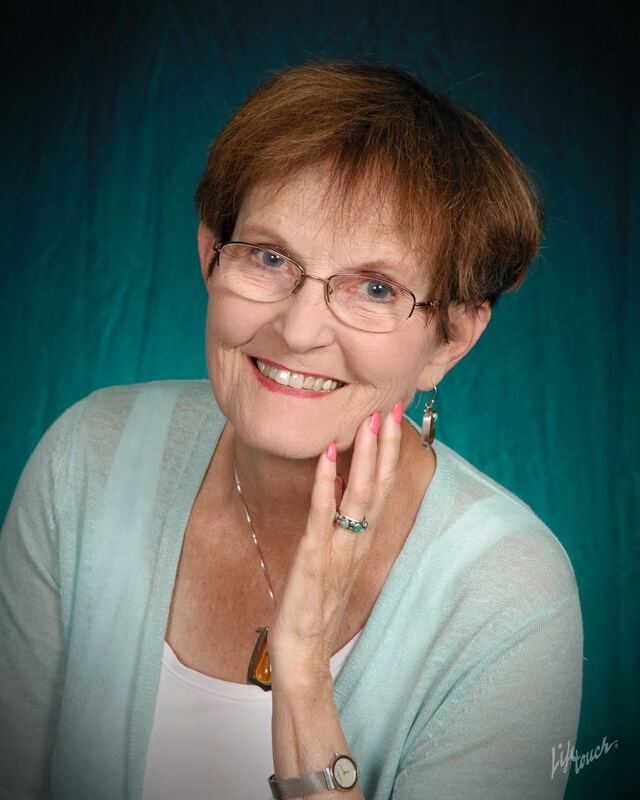 She enjoys speaking to women’s groups and teaching at writing seminars and conventions. She especially delights in mentoring young authors. These days, her time is filled with writing, being a grandmother and relishing precious time with her aged mother. It’s Thursday and I’m thankful that there is a God who always wants to take you back. No matter how far away you’ve strayed from Him, He’s always watching out for you, waiting for you to return to Him. Why? 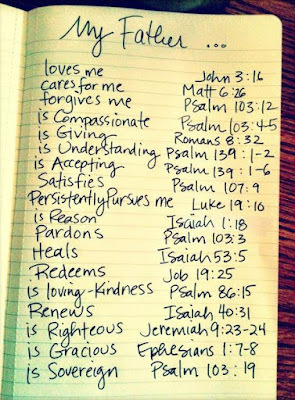 Because He loves you with a forever love. A love so true that He sent His only Son to die for you! Yes, the Creator of the Universe (God) thinks that you are worth dying for! Sounds romantic, doesn’t it? I know that most women think they’d want a man who loves them enough to give his life to save her. Well, guess what? This is better than a fictional love story because the Greatest Hero who ever lived (Jesus Christ) risked it ALL to die for you so that God could take you back! Just like the Bible says in John 3:16. God is holy and pure. He hates sin and all the sorrow and trauma it brings. It’s often said by people that “God loves the sinner but hates the sin.” The Bible says that the wages of sin are death. “For the wages of sin is death; but the gift of God is eternal life through Jesus Christ our Lord.” ~Romans 6:23-24 (KJV). I love that verse in Romans because at first, the picture for humankind looks dark and hopeless because “The wages of sin is death.” But then there’s hope because the rest of that verse says, “but the gift of God is eternal life through Jesus Christ our Lord.” What a beautiful, romantic and heroic promise! There is hope for humanity and our hope has a name. His Name is Jesus Christ and He, my dear, loves you with His life! The Bible says that nothing can separate us from the love of God! Read Romans 8:31-39 (NLT) for proof. No matter how far away from Him we go astray, He’s right there with us. Jesus is going through our pain, our hurt, our sorrow, our everything. He experiences it with us. He’s able to relate to us on levels that no other human can and the beautiful part is that no matter how sullied we become by the troubles of this world, He’s always ready and willing to take us back! 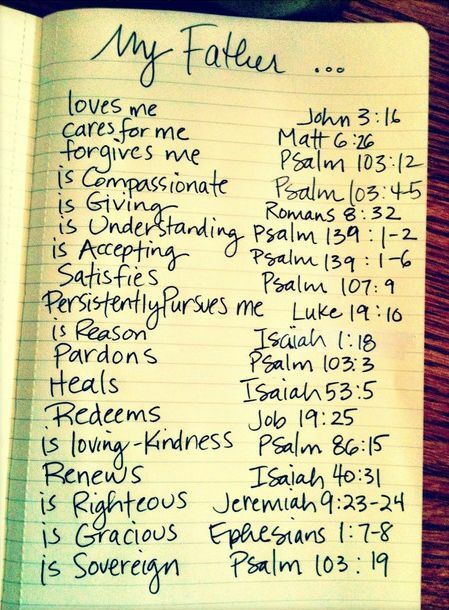 He accepts you as you are but He doesn’t leave you there! When you come back to Him, He puts you on a steady path to restoration and makes you whole again. But God doesn’t restore you for you to keep it to yourself! No, He wants you to tell the world about who He is and celebrate what He’s done in your life. Why? Because, dear heart, there are many lost souls in this world. Souls thirsting for the gospel truth, souls thirsting for a Savior. Essentially, there’s a need for God in every human heart that only Jesus can fill. So if this message speaks to you but you’re scared to reach out to God because you feel that you’ve done the unspeakable, I encourage you to still turn to Him. Reach out to Him, even if all you can say is, “Jesus.” The Bible says that before we call, God will answer; while we are speaking, God will hear (Isaiah 65:24, KJV). So go ahead, talk to God. He’s always listening. Remember, you cannot hide from Him. No matter where you flee to on Earth, even if you become an astronaut and go to the moon, He is still with you in a very real way. And just because you cannot see Him does not mean that He’s not there! Think of it like air—we cannot see air but we know that we need it to breathe and without air, we will die. It’s the same with God. We cannot see Him but I can tell you, we all need Him whether we realize it or not because without Him in existence, evil would take over and we’d all die. Thankfully, the Bible says that God lives forever (Revelation 11:15) and no force of evil can destroy Him. So see, there’s always hope when God is in the picture…and He’s always in the picture! Now, I’d like for you listen to this song by Meredith Andrews. It’s called, “Take Me Back.” Select the song's title where the words are underlined and highlighted in order to hear the song. Reflect on its message. It reminds me of the Bible story of the Prodigal Son (Luke 15:11-32). It’s a message that applies to every human on Earth because God created us all and loves us completely. May God bless you! Always remember that He, the King of the Universe, loves you and wants to take you back to Him. 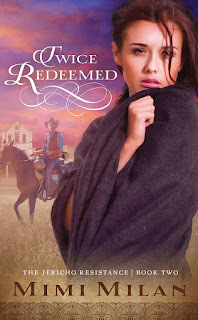 If there were a song suited for Mimi Milan’s novel, Twice Redeemed, it would be “Unredeemed” as performed by Selah. The song is about broken places in the human heart and how God’s love can heal the deepest hurt. The lyrics of that song encourage the listener with a message of how when you lay your brokenness before the Lord, He can restore you. Selah says that with God in the picture, your pain will not be unredeemed. Twice Redeemed: The Jericho Resistance (Book 2) is a beautifully written story about Mercedes Nobles, a woman who endures abuse at a saloon in Jericho. She’s helped other saloon worker women escape but is not able to save herself. Enter John Durbin, a former law enforcement officer who still lives with integrity and honor. He’s determined to rescue Mercedes from a disgraceful and abusive fate. He rides into town like a knight in shining armor. Obstacles stand in the way of his goal to save Mercedes. During this rescue mission, they fall in love. But there are more roadblocks to their budding romance, including a secret that Mercedes keeps. It is a secret that once told, could change everything. This novel touches on human trafficking and tugs on the human heart. The author, Mimi Milan, is a master storyteller. She invites the reader into her fictional story world set in Mexico and drops them into the scene of action. The reader experiences the story as if they are an observer watching the story of Jericho unfold. As they turn each page, the readers become invested in the plot, grow fond of the good characters, want to silence the bad guys and care deeply about how the story ends. The author drives the characterization deep and paints a picture on every page. The descriptions of each setting are vivid and believable. The dialogue is engaging and fresh. The plot thickens with the turn of each page and the theme of God’s grace moves forward this story of redemption. I believe that this story is worth every bit of a five-star rating. It’s worthy of winning a literary award. I recommend this to any reader over the age of 18, who wants to experience a tale that’s a beautiful tapestry of God’s passion for redeeming His children. *Alexis A. Goring received this book for free from the author and Celebrate Lit, in exchange for an honest review. Mimi Milan spent two decades scribbling away in notebooks before realizing that her life’s calling was to write. So she returned from Mexico and attended the University of North Carolina at Charlotte, majoring in Creative Writing and minoring in Film. She currently resides in the suburbs of Charlotte, making time for God, family, and imaginary friends. 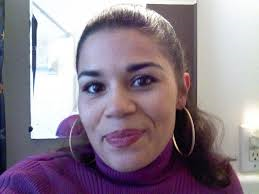 After helping another girl escape, Mercedes Nobles suffers unspeakable abuse at Jericho. So when an American cowboy rides into town, she jumps at the opportunity to start a new life… even though she carries a secret that could destroy any chance of happiness for either of them. John Durbin may have turned in his badge, but he still believes in living by a code of honor. That includes returning to a seedy Mexican saloon and rescuing a woman who helped his friends escape. However, the tables turn and he finds himself married in name only. Struggling with cultural differences, they questions if their marriage will survive. Will John sacrifice his faith to make his new bride happy? How will Mercedes redeem herself when John learns of the secret she’s hiding? We’ve all heard the saying, “Let go and let God”. But how does that look in practice? As with most things in life, you don’t learn it without experiencing the needed action. We had a hard lesson, and it certainly has shown us how to let go. When there is nothing you can control, nothing that can be relied on except God, you learn. Our little granddaughter was born with a heart defect. It wasn’t found until about five months of age. She was diagnosed as “failure to thrive” and was falling backward in growth. It was a scary time. She was our second grandchild. Both adopted, which is an additional story of letting go, but that for another time. She lost so much weight and was looking very gaunt. We prayed and prayed for answers. Soon she had to be hospitalized. Feeding tubes, tests, worry, heartache, more tests, more hospitals. We could only trust. To see a small baby girl, so helpless, so reliant on those around her to fix what was wrong, not understanding why she was sleeping in so many strange places and not her own home for so long, needles, poking, prodding, it reminded us how helpless WE were in this. There was nowhere else to turn, but to the Lord to give us the strength we needed to see her through this trial. At six months of age, after she’d gained a little weight, she was scheduled for open heart surgery. We lived nine hundred miles away, but I spent the majority of those two months living with them to care for our grandson while his sister was going through so much with her mommy and daddy. We waited hours as surgery was performed. Finally we learned that her heart was kind of twisted, with three holes in it and arteries in the wrong place with one pressing on her esophagus preventing food from going down. No wonder she wasn’t thriving. It was a remarkable surgery. A God-given ability to repair some serious defects. We were thankful. Our faith was certainly tested. I’d be lying if I didn’t admit that. It’s difficult to understand why an innocent child would have to go through all that. A fallen world causes defects. Faith in God and His Son is what gets you through it. That isn’t saying it’ll be easy, because it’s not. It wasn’t. A lot of tears were shed and paths worn into floors from pacing. But I knew that whatever would happen, Jesus was right there with us in those hospital rooms and the waiting rooms. He was with her in surgery, and He is with us all now as we rejoice in having a very healthy rambunctious girl running around as any normal two year old. He held us up, helped us keep putting one foot in front of the other, and guided us in our faith and prayers. After such a scary thing, our desire to live closer became so strong. We made the decision, through a lot of prayer, to pack up and move our lives. Leaving our comfort zone, our perceived security, the life we’d know for thirty years, and head into the unknown. A huge leap of faith. No home, no job, no income, move into one room at our daughter’s, store forty years of belongings, and go. We felt such peace about it even though we had no idea what would come. We needed to be with our family. We came so close to losing our grandgirl, and we were missing out on them both growing up. It still took a lot of faith and trust, and continues to need that daily since we made the move. We found a wonderful home, which we are settling into. The income part of things is not panning out well, but again, we’ve seen time and time again that the Lord will provide. If we are faithful and can trust Him, we know we’ll be okay. To be with our family has been the blessing coming out of faithfulness to God’s leading. We just need to trust! God’s got this. He watches over the sparrows, He’s not letting go of us. 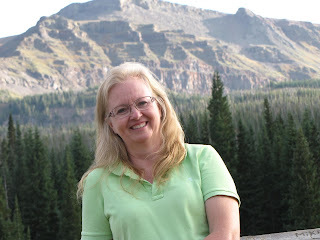 Author bio: Sandy Nadeau loves to go on adventures, photograph them and equally loves to write about them. She and her husband did a lot of four-wheeling in the backcountry of Colorado and shared those experiences with others by taking them up in the mountains. Her writing experience includes a community news column in a small newspaper for twelve years, magazine articles and two novels with adventure, mystery, romance, but most importantly sharing God’s love. She is currently a member of the American Christian Fiction Writers. Married for 39 years, she and her husband are loving life as grandparents to their two grandchildren after the big move to Texas. Travel is their favorite thing to do and they don’t get to do it as often as they’d like. Adventure awaits around every corner, over every hill and mountain. 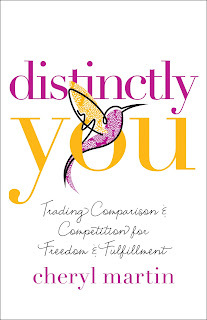 Author Cheryl Martin’s mission for writing “distinctly you” is to free women from the burden of comparison and competition with other women. In this age of social media and selfies, this book is needed. 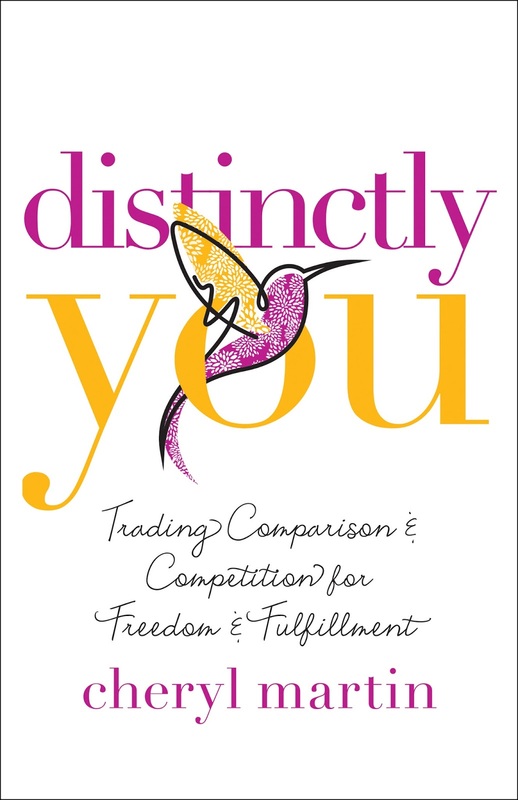 Throughout this book, the author provides information that teaches you how to celebrate your uniqueness and God-given attributes instead of feeling unworthy because you’re comparing yourself to others and feeling that you’ve come up short. She writes with class and her tone is encouraging. Martin also includes Scripture to support her claims. Martin wrote: Ephesians 2:10 says, “We are God’s masterpiece. He has created us anew in Christ Jesus, so we can do the good things he planned for us log ago” (NLT). God has determined your value. He says you are a masterpiece. That verse alone should mark us for the rest of our lives, but unfortunately, too many women give greater credence to what others call them: unworthy, unattractive, uninspired. If you believe what your Creator says about you, it will be evident by the choices you make, how you carry yourself, and what you choose to control. Catherine, the Duchess of Cambridge, is in line to be the queen of England one day because she’s married to an heir of the throne, Prince William. She is already carrying herself like a future queen. She is walking in her position of royalty. This book contains more than poignant pull-quotes. It is filled with scenes from the author’s life that highlight her personal struggles with comparison and competition. She shares her heartbreak, triumphs, career dreams, goals and lessons learned. She writes with transparency and a whole lot of heart. I truly enjoyed reading this book and I highly recommend it to women who are struggling with knowing their true value. It’s a worthwhile read that you can finish in about four hours or less. This book challenged me to be “distinctly” me and I accepted! Now I am inspired to walk in confidence in knowing who I am in God’s sight, not the latest fashion magazine or movie star standard. It’s a breath of fresh air and encouragement to my heart as I remember that God made me (and you) as His masterpiece. I am created to do good works and I believe it! *The publisher (Bethany House) sent a complimentary copy of this book to Alexis A. Goring, in exchange for an honest review. ‘Growing up with my kids’ sounds like a cliché, but it was the truth for me. My husband and I started our family very young. Being a stay-at-home mom to five children born in a 6 ½ year period does something to you. Back in the day, when I had a gaggle of kids surrounding me, I was tired and overworked. And my husband worked long hours. That meant I was home alone a lot with the ‘crowd’. Oh boy, did I struggle some days. But God compelled me to not only love my own children but to reach out to others. Even with the long days of diapers and feedings, I couldn’t have too many kids with me. They needed love and Christ as much as my own. Many a Sunday, we’d roll into church with our minivan full to the brink. Kids would pour out of it like rice out of a hole in the bag. And it didn’t end with them. We eventually did foster care for a few years, too. But there was this one year that we had a family friend who was going through a divorce. Her son was five or six at the time, and they weren’t religious. But I had this urgency to get their boy to church. I didn’t know if they’d even let him go with us, but I wasn’t going to give up. I had faith God could open doors for me, and He did just that. The parents let us take him. It wasn’t always easy getting up even earlier, rounding up all my kids and heading to pick up more, but it was a calling. And, you don’t ignore a calling from God. I trusted my Savior to get us safely to church, and to help us with all the little ones. A long time passed since those days of double-buckling to get to Sunday School. The busyness of life kept us moving ahead, away from the little ones so precious to us as some moved away, including that little boy. We kept tabs but we weren’t to see until years later the miracle God worked in him. That boy, now an 18-year-old young man, showed up at a family party a couple months ago. He thanked us for caring so much for him, for bringing him to church so he could meet his Savior, one that he may have never known if we hadn’t been obedient to the calling of Christ. I thank God for letting us see the fruit of our labor. It does a lot for your faith to see it! And I thank God that one more child is His. A life changed forever, a life that is claimed by my Savior. 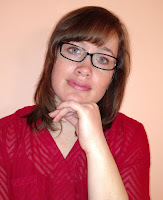 Erin Unger weaves romantic suspense tales long after the midnight oil has burned out. But her natural night owl ways help her get a lot of writing done while her kids sleep. Her first novel, Fateful Fall (Worthington Detective Agency Book 1), released on August 2. She illustrated Memphis Learns the Hard Way by Karla Priddy Gragg in 2013. Splickety Magazine published her flash fiction story, An Accomplice to Love, in February 2016.